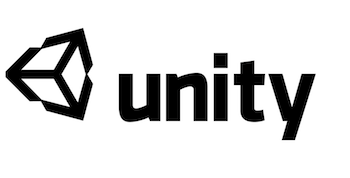 Microsoft calls its offer of free Unity licenses a "level playing field for all developers." Unity, a cross-platform game engine, is a big part of games today. For small independent developers with little money, the cost to buy a license can be out of one's budget. Microsoft had debated on how to address this problem for its [email protected] program, the company's independent developer self-publishing program. Coming to a decision, the company announced today all members of the [email protected] program will receive the Unity add-on for Xbox One for free. "We talked internally at [email protected] about ways we could help developers for Xbox One," [email protected] director Chris Charla said in a statement. "Many developers we talk to are using Unity today... We thought about paying for some developers' Unity licenses but the more we talked about it, the more we felt paying for some developers' licenses and not others just didn't feel right. To us, [email protected] is about providing a level playing field for all developers." The level playing field will allow for developers of different sizes, different locations, and varying budgets will have "the same shot to realize their vision on Xbox One." The Unity add-on to Xbox One will be available next year, and it will include Kinect support, SmartGlass integration and the impulse triggers of the Xbox One's controller. Dan Teasdale of independent studio No Goblin said in the same statement, "[email protected] has been great about lowering the bar to entry for smaller developers like No Goblin. Free Unity licenses are another big step towards making Xbox One a no-brainer for independent developers like us." Sony and Nintendo are working on similar indie development support for their consoles. All three are late to the independent game, but it's better late than never.